Discover our signature coffee blend L'OR Classique. 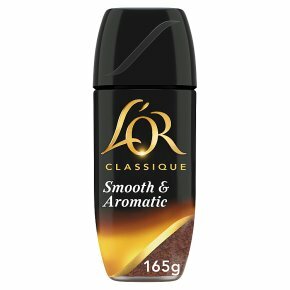 Smooth & Aromatic.L'OR Classique: golden roasted coffee with smooth and delicate, yet intriguingly rich and aromatic taste. The presence of Colombian Arabica beans in this L'OR signature blend ensures a fruity and multidimensional character of the coffee. How to Make the Perfect Cup: Add 1 or 2 teaspoons per cup and hot water, just off the boil.